Teacher Appreciation Week is May 7-11 this year. Of course, if you are looking for ideas than you probably already know that. 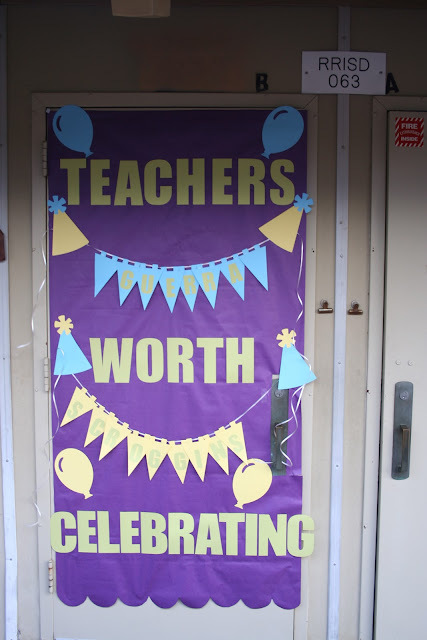 At our school it is tradition to decorate the classroom door, so I took some pictures of the fun last year to give me some ideas this go round. I probably have about 40 pictures, so I here are a few for the first go round. I love the fun reusable popcorn buckets and microwave popcorn that they can take home. One of my favorite end of the year teacher gifts is a 3 month subscription to Netflix and the popcorn gifts would to right along with that. There are a ton of Melon themed ideas that could go with this phrase! 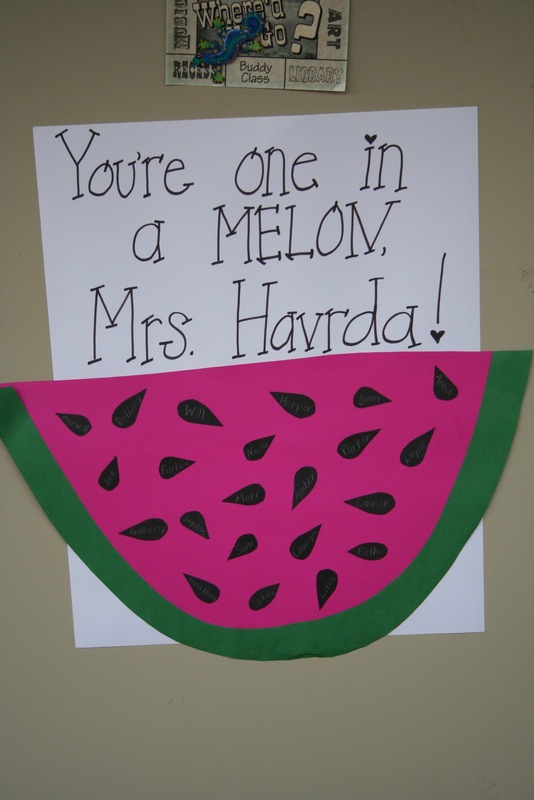 Watermelons are just fun to begin with! My favorite part of this one are the cute bumper stickers! It is a great way to personalize it with all the things you love about your teacher. 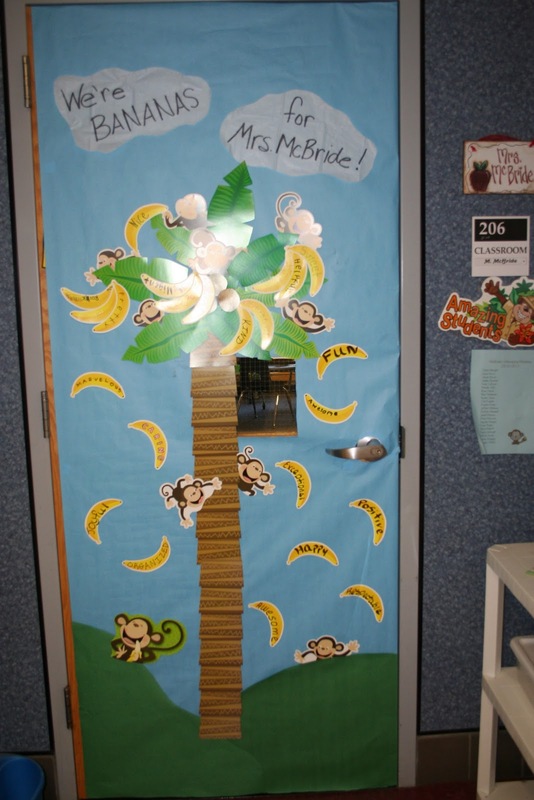 The class mascot was a monkey, so this cute banana door went right along with that. My mother in law, who is a teacher, loves banana laughy taffy, so this would be fun for her too...but with candy hanging from the door instead of paper bananas. 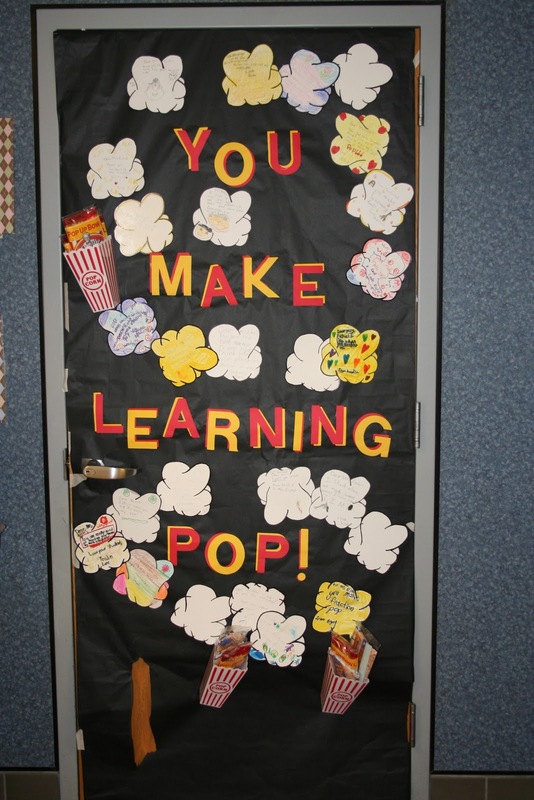 Do you have any pictures of your classroom doors from years past? I would love to add them to my next collection. Shoot me an email! I like the scalloped border on the bottom of the first door! Let the ideas roll! We are on year-round, so our Teacher Appreciation week is being celebrated April 23-27.